Trim to create custom shapes. Gel Moleskin adheres gently to skin to cushion and protect while absorbing pressure and friction. 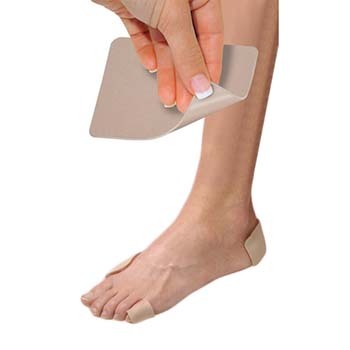 Perfect for corns, calluses, bunions, blisters and more. Washable and reusable. Two pieces per package, 2 1/2" x 3".